In our earlier article we’ve shared a list of highly recommended WordPress plugins for every WordPress user. In this article, we will share with you most popular and useful SEO plugin for WordPress SEO. Actually, WordPress by default is pretty decent at letting search engines see what’s going on. But there are a whole bunch of plugins that can be used to make WordPress Blog rank better. Fully optimize WordPress site using the WordPress SEO plugin by Yoast. According to plugin author this plugin is most complete WordPress SEO plugin for your WordPress blog. This plugin gives many features like snippet preview, page analysis functionality, images titles, meta descriptions, XML sitemap, breadcrumbs and more. That’s why we have switched our site from All in One SEO pack to WordPress SEO by Yoast. SEE ALSO: WordPress SEO Tutorial: Integrating SEO with WordPress. This plugin can help you to achieve highest possible SEO ranking in search engines. It will help you to write content that is search engine friendly and human-friendly. It will carry an SEO audit and be able to find keywords and lets you know which parts need attention. It works well in combination with WordPress sites that already have Yoast SEO. The Google Analytics WordPress plugin allows you to track your blog easily. It adds the asynchronous tracking code for Google Analytics and automatically tracks and segments all inbound links from within posts, comment author links, links within comments, blogroll links and downloads. It’ll add custom variables while tracking to show you page views per author, post type, category or publication year. It’ll also allow you to track AdSense clicks, extra search engines and even ignore certain user levels. This plugin generates a special XML sitemap that will help search engines such as Google, Yahoo, Bing and Ask.com to better index your blog. With such sitemap, it’s easier for the crawlers to see the complete structure of your site and retrieve it more efficiently. 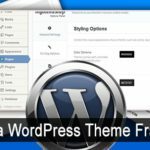 The plugin supports all kinds of WordPress generated pages as well as custom URLs. Additionally, it notifies all major search engines every time you create a post about the new content. If you are using WordPress SEO by Yoast then there is no necessary to use this plugin. Redirection is a WordPress plugin to manage 301 redirections, keep track of 404 errors and generally tidy up any loose ends your site may have. This is particularly useful if you are migrating pages from an old website, or are changing the directory of your WordPress installation. This plugin automatically updates all images with proper ALT and TITLE attributes for SEO purposes. If your images do not have ALT and TITLE already set, SEO Friendly Images will add them according to the options you set. You will get traffic from search engines like Google, Yahoo, Bing and Ask.com. This plugin improves your site’s search engine optimization by helping you manage your search engine duplicate content, by setting your post page’s canonical to the permalink. If you know any other best and useful SEO plugin for WordPress share with us in form of comments.